Aden Restaurant is one of two Yemeni restaurants in Astoria on Steinway, which is an area with a lot of Middle Eastern restaurants, shops, and food carts. 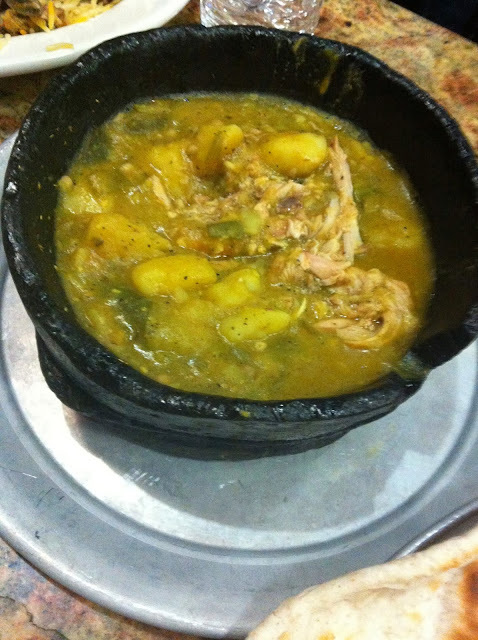 We got the usual maraq soup to start out and some salad and tea. 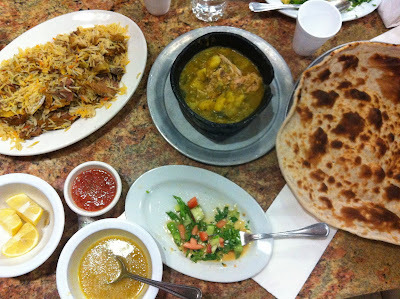 For the main dishes, we had chicken ogda and lamb zerbian. Both were good but the ogda was a potato version without tomatoes. The bread was freshly made and good. They do not serve Yemeni dessert here. Overall it was a good meal but not as good as other Yemeni restaurants in New York City.